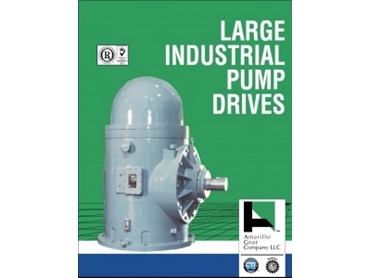 Amarillo's range of large pump drives are designed for up to 3,400HP. Used for fire fighting applications on offshore drilling rigs as well as industrial facilities, these gear drives are manufactured with rigid cast iron housings, designed to ensure correct gear alignment. Gears are manufactured from alloy steel forgings, case hardened, and lapped in pairs. 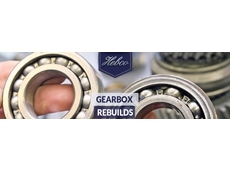 All bearings used are high quality, brand name bearings which exceed AGMA recommendations for bearing life. 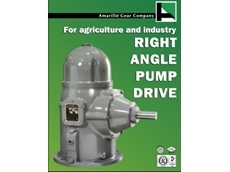 Having worked with Amarillo products since 1982, our team at H.E Brehaut Pty Ltd offers the complete Amarillo range, with the largest stock of Amarillo pump drives in Australia. With an extensive stock of spare parts required for pump drive rebuild and refurbishment, you can be sure that we will provide you with the very best in quality assurance and customer service. Our team’s extensive knowledge and quality servicing has allowed us to work closely with nationally and internationally recognised companies on major projects throughout Australia. These companies include Woodside Petroleum, Viva Energy, BHP, Mobil Refining Australia and CS Energy.